This downloadable teaching material was created for high school students, elementary school students and adults at Beginner (pre-A1), Elementary (A1) and Pre-intermediate (A2) level. 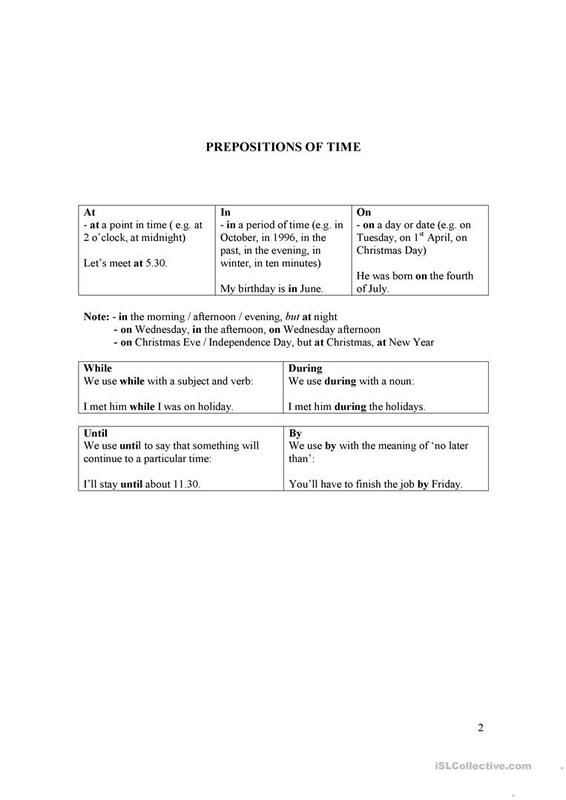 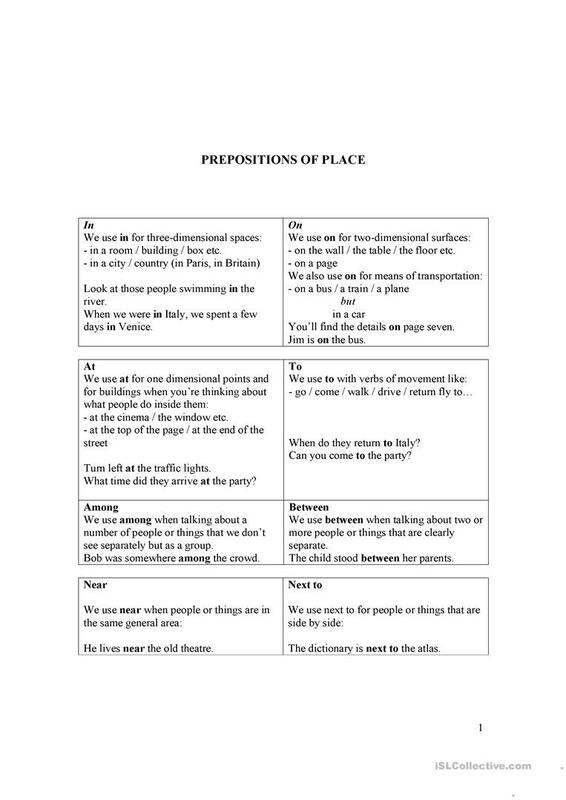 It is valuable for revising Prepositions in English, and can be used for honing your class' Reading skills. crissale is from/lives in Romania and has been a member of iSLCollective since 2011-12-01 15:30:26. crissale last logged in on 2019-03-21 12:36:21, and has shared 6 resources on iSLCollective so far.